Welcome home to this dollhouse of a home conveniently located near the Gene Snyder & I65 in Fairdale. This 3 bedroom, 1.5 bath features all new flooring throughout to include waterproof luxury vinyl plank in the kitchen & baths & carpet in the living room, hall & bedrooms. This home offers many updates to include lighting, kitchen sink & faucet & fresh paint throughout. You will love the tile accents in the bathrooms. The exterior features a deck overlooking the large yard with freshly painted shed. The furnace & AC are only 2 yrs old. This home is move-in ready & waiting for a new owner. Schedule your showing today! SchoolsClick map icons below to view information for schools near 10607 Charlene Dr Louisville, KY 40118. 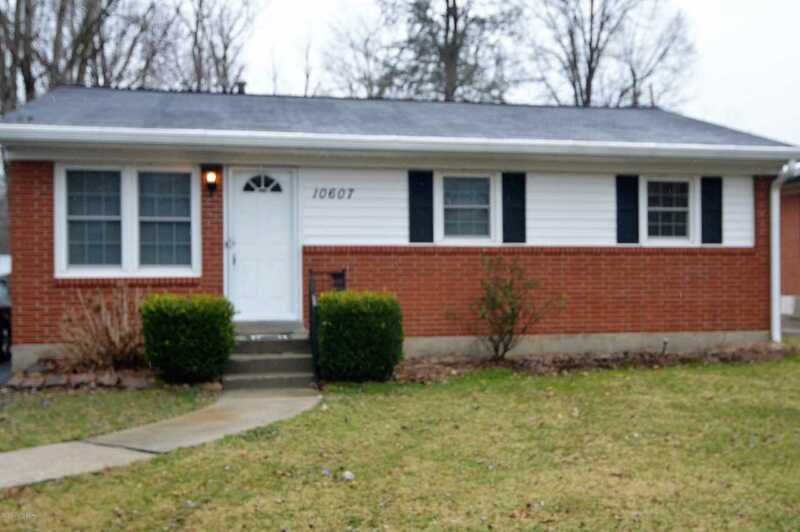 MLS # 1524452: This property at 10607 Charlene Dr, Louisville, KY 40118 is located in the Holly Villa subdivision and is listed for $122,500. MLS # 1524452 has been on the market for 69 days.